Is aging optional? Do we have more control over our aging than we might believe? Or are we victims of our environment and genetic code? I’m fascinated by the mission to extend the glory of middle age for as long as possible; the daily choices that extend healthspan, the length of time you feel awesome and healthy, rather than tired, burned out, inflamed, and infirmed. I’m not interested in increasing longevity if it means that I am (or you are) lying in a hospital with multiple organ failure, or otherwise unable to hang out with the grandkids or great-grandkids or enjoy a fine glass of wine. Or restricting my calories and partially starving myself. I assume you aren’t interested in those either. Healthspan is about the day-to-day choices that defy your genetic tendencies and fight diseases of aging, such as cancer, Alzheimer’s disease (“What?” is my husband’s cheeky response any time I talk about the big “A”), and arthritis. Here’s the coolest part: the latest scientific evidence suggests that only about 10 percent of your risk of disease is due to genetics; the other 90 percent comes from those daily choices that you make about how you live you life. Unfortunately, aging begins secretly in your body at a very early age. Maybe you noticed when turning 35 or 40 that metabolism becomes less forgiving. Most women start to notice aging in their forties, when fat starts to accumulate (but not in the places we want), staying fit grows harder, and vision falters. You start holding the newspaper a little further away in order to focus your blurry vision. You can no longer get away with sharing a bottle of wine with your husband. Welcome to MIDDLE AGE, defined as 40 to 65. The key is to arrest aging on or before the end of middle age. But before you pour yourself another glass of wine to lament the facts of aging, let me share some good news with you. 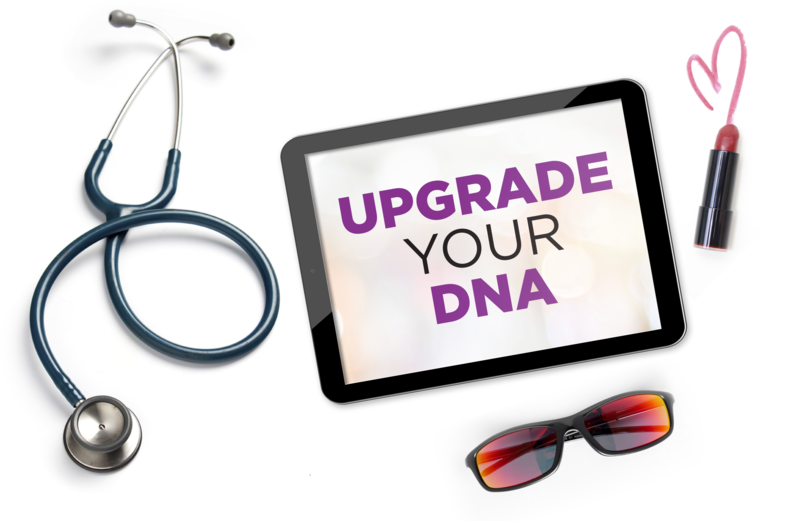 Fortunately, due to advanced medicine and recent scientific breakthroughs, middle age now offers a profound opportunity to change the course of your life and reprogram your genes and your body. I urge you to take this opportunity seriously before decay, or what we can refer to as accelerated aging, leads not just to thinning hair but to alarming diseases such as Alzheimer’s disease or breast cancer. If those diagnoses seem abstract and irrelevant to you now, allow me to gently remind you that by the year 2030, 20 percent of the population will be 65 or older (compared with 13 percent in 2010), 1Vincent, G. K., et al. The next four decades: The older population in the United States: 2010 to 2050. No. 1138. US Department of Commerce, ...continue consisting mostly of baby boomers. New cases of Alzheimer’s will rise by 35 percent, 2Hebert, Liesi E., Laurel A. Beckett, Paul A. Scherr, et al. “Annual incidence of Alzheimer disease in the United States projected to the years ...continue while new cases of breast cancer are expected to rise by 50 percent. 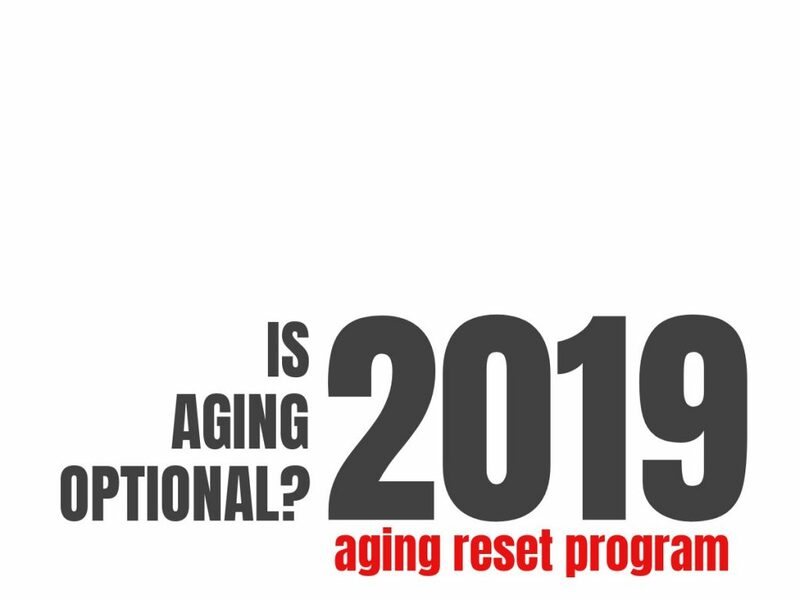 I want to help you make the most proven choices, day-to-day, in my new online course The Aging Reset: Make Aging Optional. It’s a functional medicine protocol that I want to share with a few hundred of my closest friends, family, and beloved followers. It was the basis of my last book, and it’s super exciting. Inside I teach you everything I’ve learned about so many surprisingly small but impactful things you can do to slow down the clock, and look and feel younger. It’s not about chemical face fillers or weird hormone injections: it’s about the profound but proven ways you can reset your cells and how they express your DNA. One of the toughest parts of my work as a physician is turning people away who want to come see me for a customized functional medicine protocol. As many of you know, I’ve been on sabbatical for a few years, and before that, my practice had a two-year waitlist. I’m not bragging—I’m simply aware of how hard it is to find the wise, caring, and superbly educated doctors who can translate complicated functional medicine protocols into something that you can easily follow, without spending thousands of dollars. Additionally, I receive emails and social media comments on a daily basis from readers just like you asking where they can find clinicians who have a similar approach to the one I share in my New York Times bestselling books, interviews, and on my blog. I’ve spent a lot of time thinking about this problem and how to address it. I’ve been synthesizing large volumes of information about the technical aspects: the genome (your unique set of DNA, inherited from your parents), and the epigenome (your record of the chemical changes to the DNA that lie literally “on top of genes” and can be passed down to your offspring). Please don’t worry if this all sounds overly technical—you can trust me to keep the content lively and relevant to you and your scrumptious life. Furthermore, I’ve attended dozens of cutting-edge conferences and spoken to the world’s foremost thought leaders in aging. I’ve pored over the best studies and anti-aging books, defining the best practices (many of which are new, and some are counterintuitive), planning ways to follow the best practices, and preparing to give you the opportunity to perform the protocol. Certainly, it has been a huge challenge, and also a labor of love. It’s completely congruent with my mission to advance hormone balance and healthspan, and quantify wellness, via science-backed functional medicine. My experiences tell me that the demand for clinicians who practice functional medicine and can help people slow down aging far exceeds the supply. I’ve known for some time that I would offer a protocol to address the problem of aging. Here is what I want to share with you about the training so far. Inject new enthusiasm into your health journey and avoid burnout. Heard enough? You can get more info here to receive updates on the new ecourse and be among the first to be notified when it launches in just a couple of weeks. Otherwise, kindly read on to learn more. How do you know if my ecourse will be the right fit for you? Take a look below. If you feel like these statements describe you and what you are looking for, then I’m confident it will be an excellent choice for the next step in your health career. You are busy but whelmed. Not overwhelmed. If you’re getting married or going on vacation, don’t worry, because you’ll get lifetime access. I’ll be offering weekly Q&A with me, but if you miss it, it will be recorded and transcribed. Every module will be available to you online. But if you’re chronically overwhelmed, this ecourse is not going to fix you. Start with my New York Times bestseller, The Hormone Cure, specifically chapter 4 on cortisol! You are looking for a lifestyle protocol with a strong foundation in functional medicine, the systems-based approach that is personalized, predictive, preventive, and participatory. You want more than just a wide range of ideas, you want a system—a model that focuses on the lifestyle choices most crucial to success. You are ready to put in the hours to make a major shift in your life and health. No program works unless you work it. If you’re expecting my new ecourse to magically solve all of your problems., please do not complete the notification form. This is not some miracle weight loss program designed to make you de-age in 3 days. Transformation takes work, and I want to partner with the people who will actually implement the material. That matters to me. Regarding timeline, we’ll be opening enrollment shortly that will last for approximately four days. After enrollment closes, we’ll ship out any needed items for the program and get started the following week. It will be a virtual training, containing a combination of learning (from video, audio, and written content) plus webinar/Q&A session. There will be a community forum on Facebook. It will be open to people around the world, but I limit the number of spots so that there is plenty of room for interaction, brainstorming, and massive transformation. I can’t wait to share it with you. You have way more control than you know about how fast you age. Enrollment opens Thursday April 4th. Don’t miss out. Join me. This new online protocol could help you add many high quality years to your life. I’m really excited for this opportunity and I hope you are as well. 1. ↑ Vincent, G. K., et al. The next four decades: The older population in the United States: 2010 to 2050. No. 1138. US Department of Commerce, Economics and Statistics Administration, US Census Bureau, 2010. 2. ↑ Hebert, Liesi E., Laurel A. Beckett, Paul A. Scherr, et al. “Annual incidence of Alzheimer disease in the United States projected to the years 2000 through 2050.” Alzheimer Disease & Associated Disorders 15, no. 4 (2001): 169-173.